Get ready to start your smart home! 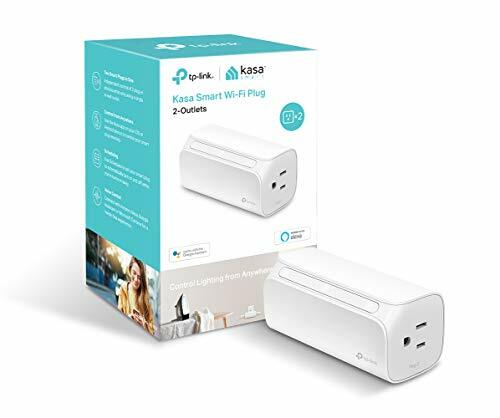 This Aoycocr Smart plug allows you to create customized schedules for your appliances so that they run on your personal schedule. You’ll find that automating your devices will help streamline your daily routine for a more efficient household. Whether you’re at home or away, turn on /off your home devices from your smart-phone or tablet with the Smart Life app (Android 4.4 and above or iOS 8.0 and above devices required. 2.4GHz Wi-Fi network support only). You can also schedule your wifi socket to turn ON / OFF at preset time. Let yourslef wake you up or put you to sleep in a schedule time. Start a beautiful day from the moment you wake up, it also good for kids growing up. With timer function, you can also set up your home devices turn on /off even you are out of home and forget turn off your devices. saving your home energy. 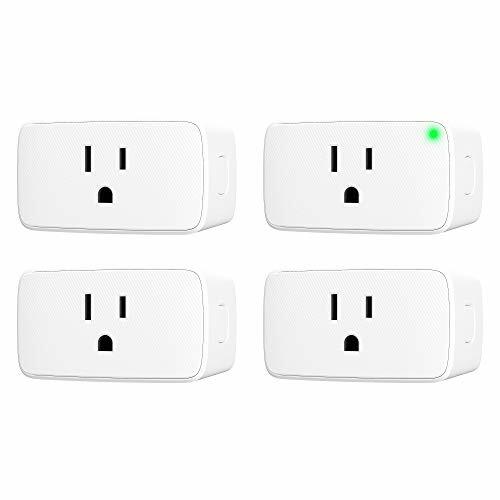 You can gather different smart plugs to a group. Also, you can share with your family and control the smart outlet with multiple devices. 3.Make sure you named every plug if you want to control them separately. Working temperature: -10 ° C – 40 ° C.
Support for third parties: Amazon Alexa, Google home, IFTTT. APP supports operating system: Android 4.1 IOS 8.0 version and above. An AC output jack, an independent physical button control and APP control. Control from Anywhere: This smart plug works with Alexa and Google assistant for voice control. Power your devices without lifting a finger. IFTTT enabled. FCC/CE/ETL/RoHS certified. Enjoy your customized schedule: Schedule the smart socket to automatically turn on/off your devices at surise/sunser or any time you want, get ready to have a smart home. 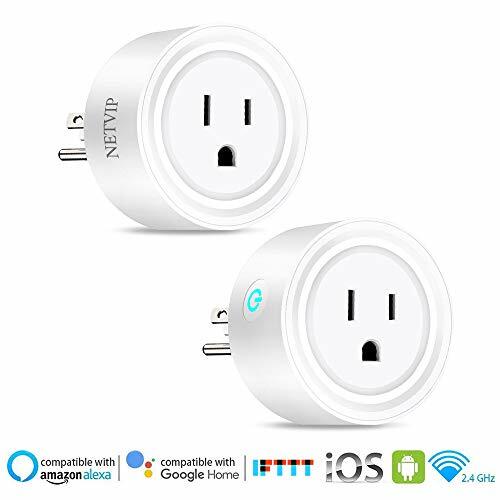 Easy to set up and use: simply plug this mini outlet into electrical plug, connect smart outlet to Smart Life app and Alexa or Google Assistant then you can start using your voice. 2.4GHz WiFi network is required. 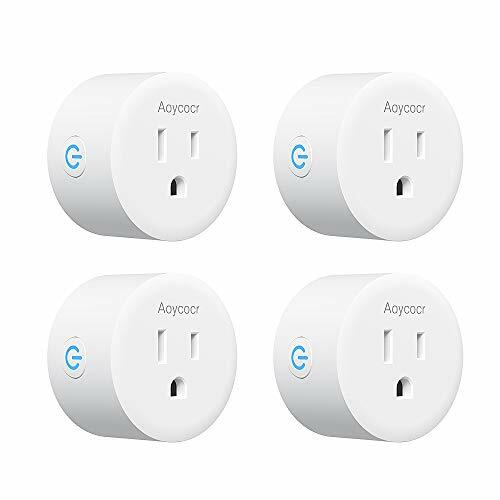 Sharing with your family: you can create a group for all smart plug and control all in one command. Share the smart socket to all family members in a minute. Enjoy a smart life. Quality guaranteed: ETL FCC Certificated. If you encounter any problem or need support, please feel free to contact us through following E-mail support@aoycocr.com or Amazon directly. We offer free replacement service anytime and for any reason if the bulb is defective.